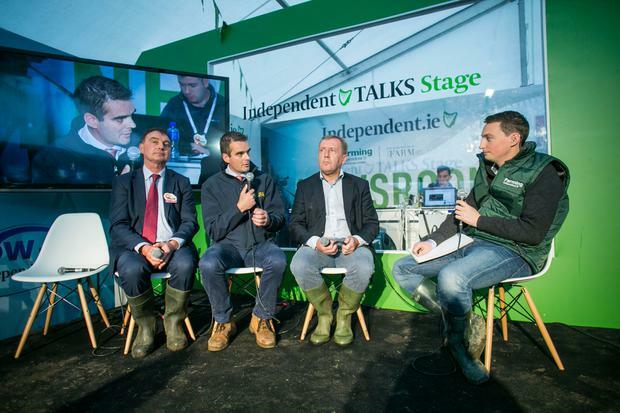 Kevin Doyle dons his wellies for the 2017 Ploughing Championships, where he is joined by IFA President Joe Healy, ICMSA President John Cormer and Minister for Agriculture Michael Creed to discuss what farmers will be looking for from the Budget, South American trade deals and farming post Brexit. The main farming bodies tackled Minister Creed on what farmers want from the budget at the Ploughing today. ICMSA President John Comer said volatility is the main issue for farmers, and called on the Minister for Agriculture Michael Creed to ensure that banks were offering competitive loans to farmers. 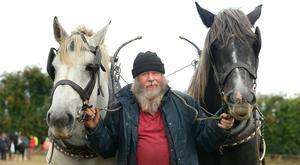 He said that volatility is the big issue for Irish farming and its more and more pronounced. Dairy farmers he said, have seen milk prices go from 24c/L last year to 35c/L this year, close to a 50pc swing. He said this made it difficult for farmers to present a solid case to banks for loan applications. He said the Minister needed to introduce measures and polices that will help farmers mitigate against volatility, not subsidised interest rates. "We do not want subsidised interest rates, we want interest rates that are comparable to the EU average. Irish farmers are paying back €18 or €80m a year more than EU counterparts. 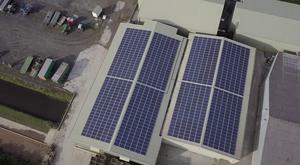 We want normalised loans in a commercialised banking environment." He said a farm management deposit scheme, which would allow farmers take money out of the business in a good year for the bad years, would make more sense than the current income averaging arrangement available to farmers. IFA President Joe Healy said that the low cost loan scheme, which was introduced last year, was incredibly successful but that it highlighted that Irish farmers are paying 2-2.5pc more than their European counterparts for credit. Minister Creed said the overwhelming objective of the upcoming budget was to avoid the "traps of shock and awe" where one budget's cuts caused shock and another caused awe in its ability to give. "There is a game in handling public finances...and this will be a balanced budget." The Minister also said that the banks are still in recovery mode and low-cost loans are not required ideally in a functioning banking environment, but the Government is are looking at how it could devise a similar scheme that might make the pillar banks respond. "We can't fix the banks balance sheets overnight but we can learn the lessons of the low cost loans."